I checked the gravity for Dad’s Pre-Prohibition Pilsner on Sunday, January 17. At this point, it was down to 1.018, from 1.051. This puts the beer at around 64% apparent attenuation (and 4.3% abv), so it’s time to start ramping up the temperature. The temperature at this point was around 52°. 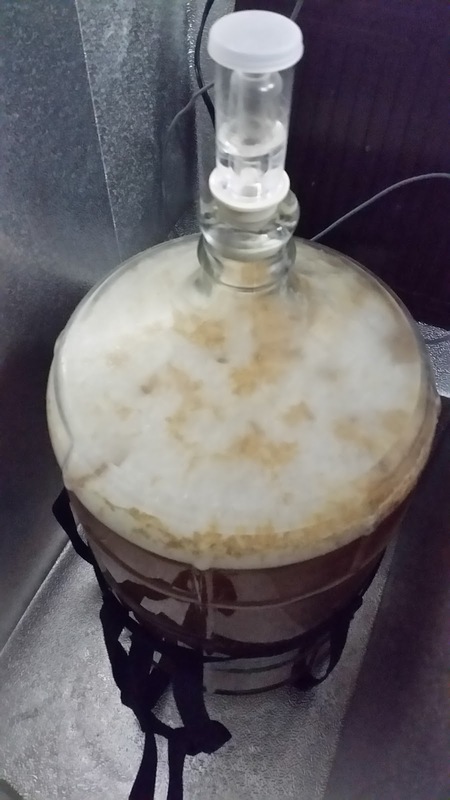 For the first 12 hours, I just let it free rise in the fermentation chamber. The next morning (January 18), it was at 55°. I then put my heating pad in the chamber, and set it at 60°. By that evening, it was at the desired temperature. I then gave it the final bump up to 65°, which it had reached by the morning of January 19. Per the guidance from Brulosophy, I will leave it at this temperature for four to 10 days. I’ll probably do a check next weekend. The beer is a quite pale straw color, and pretty hazy yet (not surprising). The krausen was ridiculously rocky on it–I suppose it’s a product of the grains plus the yeast strain. I am a bit surprised that I don’t pick up any really obvious off-flavors (e.g., diacetyl), but perhaps that is just my bad palate. This entry was posted in pilsner, Pre-Prohibition Pilsner and tagged 3P, D3P. Bookmark the permalink.